…at least to some extent during this electoral cycle. Collins-Greenup, the little-known Democrat candidate for Secretary of State nobody believes has much of a chance to beat incumbent Republican Kyle Ardoin, doesn’t show too much in the way of fundraising for her own campaign; as of her campaign filing on Wednesday she’s raised just $22,000 – $12,000 of it from Chicago moneybag investor and Democrat donor Blair Hull and his family – and spent only $1,400 from October 18th through Nov. 18, and prior to that she had almost no money at all come in. That doesn’t look like a statewide campaign of any significant note. And yet we’ve been told that Collins-Greenup has a ground game which is of very significant note. Surprisingly good, in fact. And so far the early voting numbers are reflective of that effort – as of the Secretary of State’s office’s release on early voting statistics which came out this morning, 47 percent of Louisiana’s early voters in advance of the Dec. 8 runoff election were Democrats, compared with 40 percent which were Republicans. Last year the number was 51-39 in the Democrats’ favor for the special election for State Treasurer, a race won by Republican John Schroder over Derrick Edwards, a Democrat in similar campaign-finance circumstances to Collins-Greenup. That would indicate Ardoin is in good shape against Schroder. But let’s remember that Edwards benefited from a runoff election in the New Orleans mayor’s race last year which drove up turnout in monolithically-Democrat Orleans Parish. Collins-Greenup doesn’t have anything like that to push turnout; there’s a mayor’s race runoff in Shreveport between two Democrats, but Caddo Parish isn’t monolithically Democrat and definitely not overwhelmingly black, and in Baton Rouge there’s a giant half-cent sales tax on the ballot for road construction which isn’t necessarily a polarizing issue along white-black or Republican-Democrat partisan lines. And yet she’s still been able to turn out sizable numbers of votes in the early-voting period. How? One answer seems to be that the Louisiana Democrat Party is flush with filthy lucre thanks to the national party’s midterm campaign cash explosion. 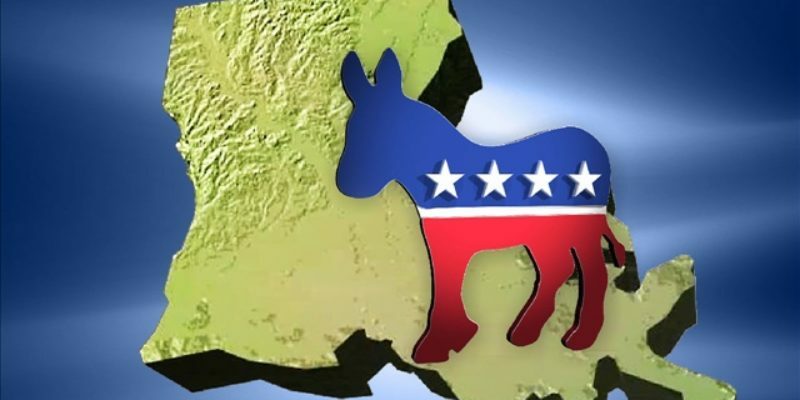 The campaign finance report for the state party, which goes by Louisiana Democrats now but used to call itself DEMOPAC for the purposes of finance reporting, shows they’ve sucked in more than $507,000 and blown out more than $431,000. That would pay for a whole lot of street money for get-out-the-vote operations. activity.” That seems like it would cover a whole lot of activity, which could well include the kind of GOTV efforts we’re told are ongoing for Collins-Greenup’s behalf. But she won’t win this election. That 51-39 early-vote advantage for Edwards last year only translated to 44 percent of the vote against Schroder’s 56 percent, and Collins-Greenup wouldn’t be likely to even fare that well in this race. Ardoin’s finance report from yesterday said he had $136,000 in cash on hand as of Nov. 18, and he’s since taken in an additional $25,000 – money that will be spent on voter contact. What’s more, the Louisiana Republican Party isn’t sitting on its hands – while the LAGOP isn’t the money machine the Democrats are at this point, they’ve been aggressively contacting registered Republicans who’ve early-voted in the past with text messages, e-mails and social media contacts urging them to get to the polls, and they’ll be doing the same in advance of Election Day. Still, one wonders about all that money going through DEMOPAC from those out-of-state entities, and what exactly it’s being spent on. There isn’t the same level of transparency as we’re supposed to have when a political candidate isn’t actually spending the money being spent on her campaign.